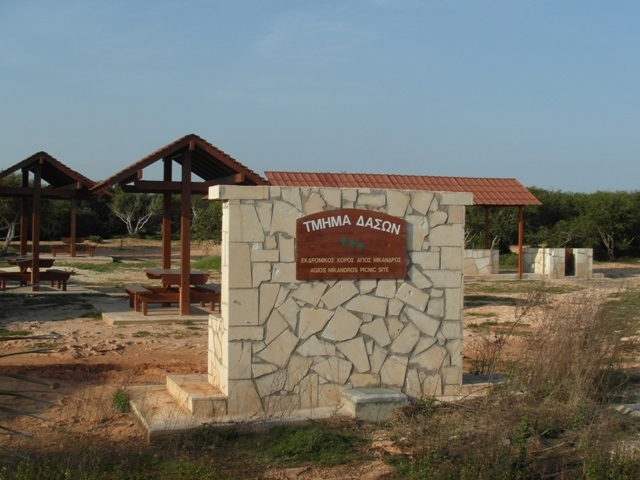 Following Nissi Avenue away from the town centre and past Nissi Beach, On the left side you will see a small sign for the Agios Nikandros Picnic Site just before the main entrance for Landa Beach. 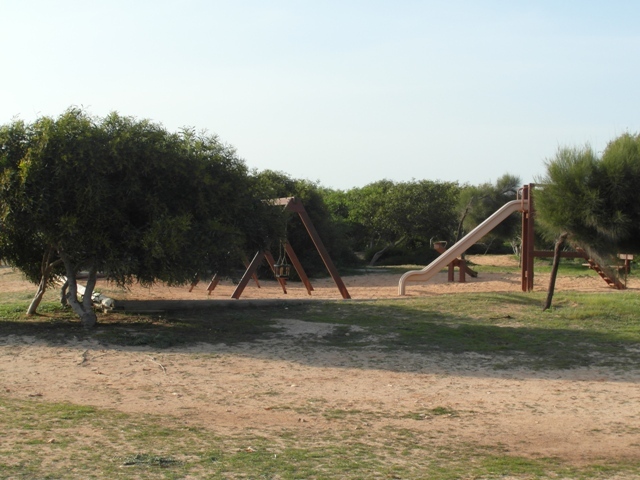 The site includes picnic tables and benches, a drinking water fountain, barbecue areas and a playground for children. 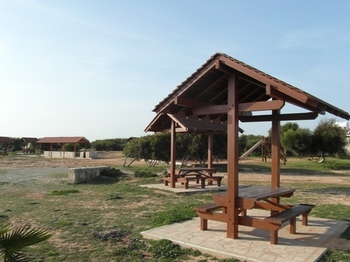 Overlooking the sea and close to the beautiful Landa Beach, this picnic area is surrounded by trees and shrubs and in the spring is especially pretty with wild flowers and orchids. It can also be reached on foot via the coastal path from Nissi beach. Remember when visiting any Picnic site in Cyprus to always take your rubbish away with you and to leave the area clean and tidy. Set against the gorgeous backdrop of the Cape Greco national park area is a picnic site overlooking the crystal clear sea of the Mediterranean. Equipped with picnic tables and benches, this is a great spot for a summer barbecue with friends.